David has consistently shown up and worked on getting better, one day at a time. The results have been amazing. David joined CNU Fit after one of our clients gave him a gift certificate back in 2014 and he has been an inspiration for many of our clients. 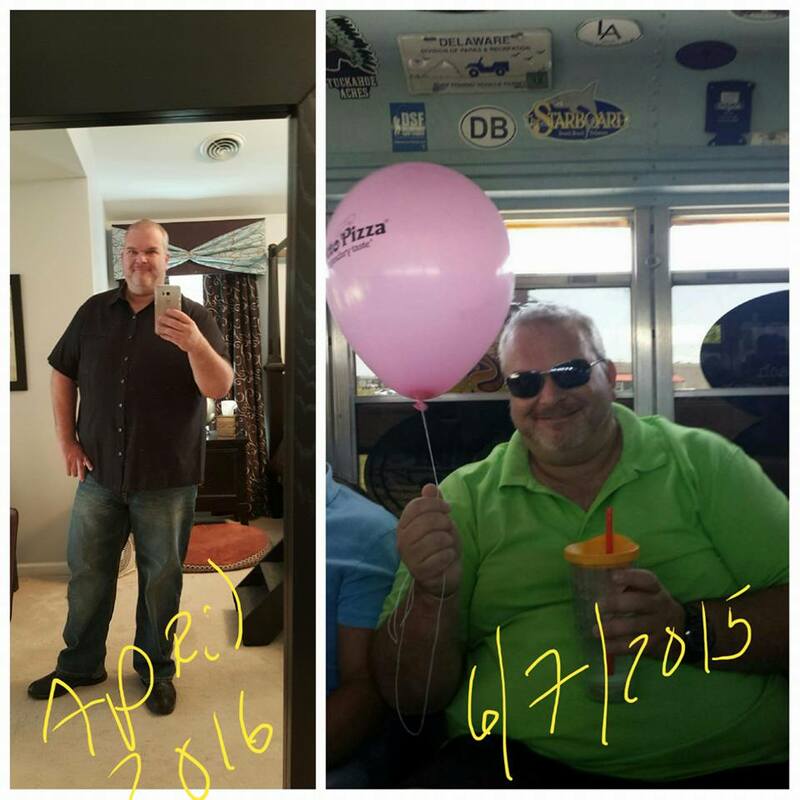 He knew that he wanted someone to help him through the journey to a healthier lifestyle but was not ready for the change. 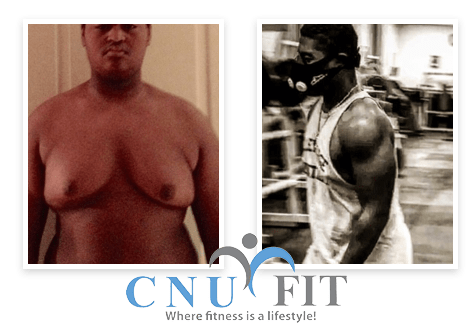 After considering his health, he felt the need to show up to CNU Fit and overcome his goals to live a healthier lifestyle. Currently, David is in our personal training program, has lost over 50+ pounds and has been consistent for 2 years. He has decreased his shoulder and back problems, along with his plantar fasciitis. Fast forward to today and he does not have hip pain and can get dressed standing up. He’s stronger, more energized and getting better sleep. Keep up the amazing work, David. We are all inspired by you and so proud of you. Bring on 2017! 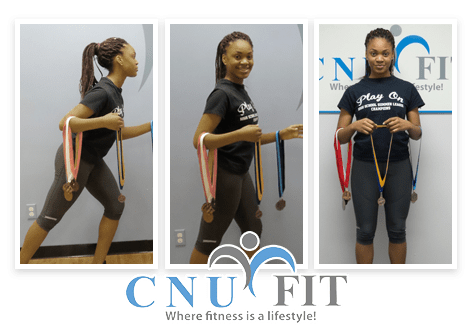 Kierra Razor started CNU Fit timid and unsure of speed and agility training. The program was a gift from her mom for Christmas. Within a couple of weeks, her confidence increased. After 12 months of training, she became CR and Delaware High School Track champion. Her events were High Jump, Long Jump and Triple Jump. Sarah Poole (16yr old) began her 12 week program with the goal of increasing her vertical jump and speed as a volleyball player. 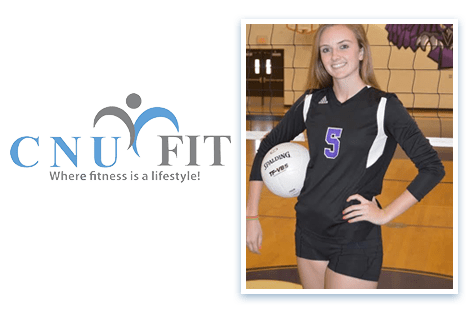 Over the summer of 2016, Sarah committed to training three days a week at CNU Fit. When the season started she dominated on the volleyball court. Her mom and dad stated this was the greatest investment they have made in her athletic development. Sarah says she loves that even though she gets pushed every workout is treated with respect, so now she is more confident and feels better about herself. Before coming to CNU Fit, Nathan’s father took him to a family doctor who recommended that Nathan needed to weigh 130 pounds. To achieve that goal, the doctor recommended drastic attempts to get Nathan healthy, such as eating ¼ of a sandwich, and ¼ piece of fruit for lunch each day. 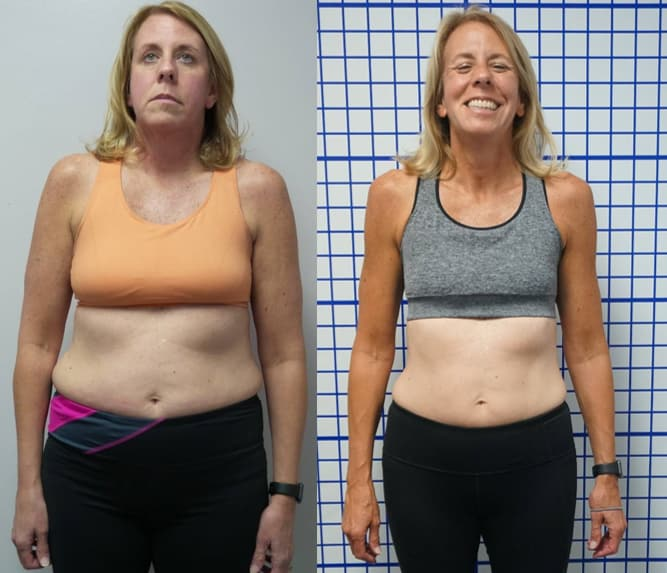 Carole noticed she was gaining weight, she knew that her health was slowly slipping. She was overweight, with poor balance, poor flexibility, and limited strength. Carole had a knee replacement and a bad shoulder, she was looking for optimal health for a failing body. 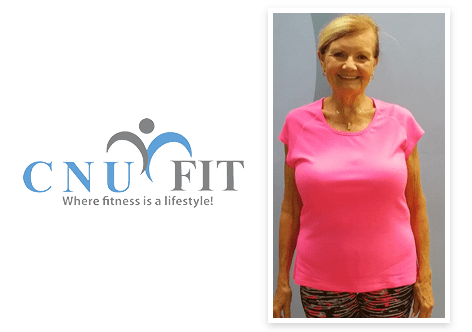 After exploring all the options in the Dover area, Carole came to CNU Fit. 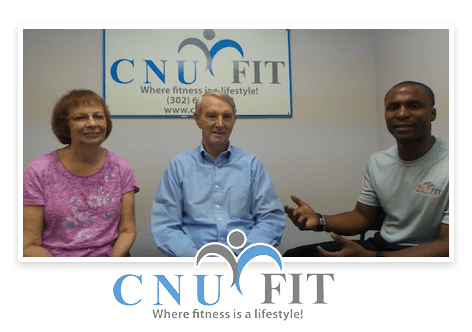 Many couples come to CNU Fit with a desire to get in shape together, but Sally and Dale Cawby came to CNU fit with only one specific goal in mind; they wanted to comfortably walk 2-3 miles each day when they traveled to Turkey, Italy, and Greece. Kalisa Moore is a 32 year old mother of three. An executive recruiter and professional coach, she recently moved to Dover from Houston, Texas, and began working from home; which meant she was less active. Kalisa was never a consistent gym member, because she had never experienced major weight problems. She was always comfortable with her weight. In June of 2013 Ronah was hospitalized with a common digestive disease known as diverticulitis, which involves the formation of pouches within the bowel wall. Symptoms include increased white blood cell count, constipation, abdominal pain, nausea, fever. Tetra was very athletic in high school, experienced in a variety of sports. After marriage, kids, and becoming a professional, Tetra got swept up in the busyness of life. Naturally, her metabolism slowed down without warning, she needed and wanted to get fit. 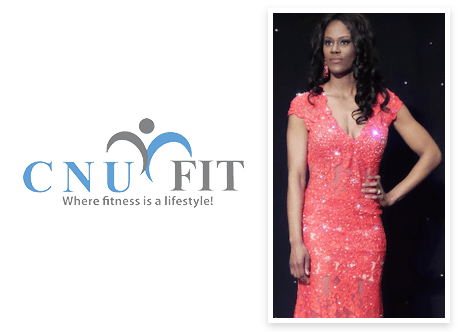 What really motivated her to buckle down and try achieving her fitness goals was her decision to compete in Mrs. Delaware. Alise Dickens often spoke of her desire to change her lifestyle, get in shape, and join the military. 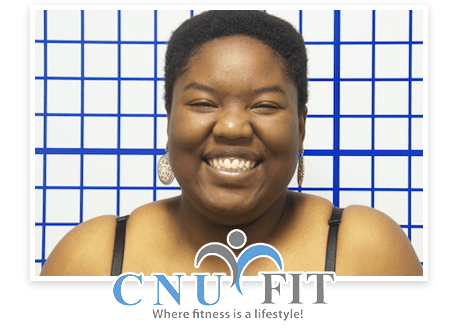 A family friend of Alise overheard her request and decided to bless Alise with a Personal Training and Metabolic Coaching Program from CNU Fit. Heather is a 13 year old student at Caesar Rodney High School. She has two siblings and enjoys her family time. Heather often expressed an interest in losing weight and getting healthy, so her mother Dora attended occasional Weight Watchers meeting with her. But, it wasn’t working for Dora and she didn’t think that it would work for Heather either. 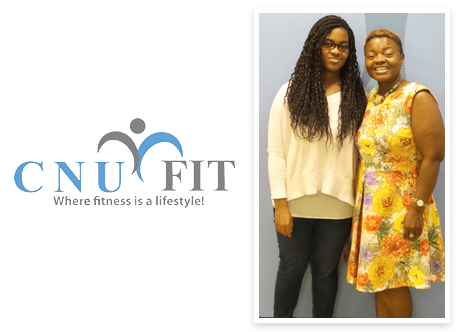 When Dora heard Evans speak at a local conference, she was convinced CNU Fit was the place for her daughter. 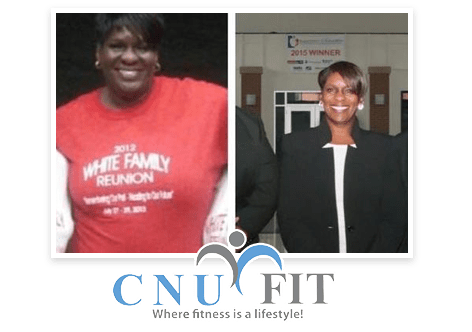 CNU Fit has this weight-loss thing down to a science and it works! I had twin girls in October of 2015 and went to Evans to discuss a plan to "bounce back." The plan that was laid out for me wasn't a one size fits all, it was especially customized just for me; more importantly it was easy to follow and convenient! I have been following the plan for 3 months and I feel amazing. I have an abundance of energy to play with my baby girls and the stubborn weight that I couldn't get rid of is a thing of the past. Becoming a member of the CNU Fit family was the best thing that I've done for myself in a long time! Evans and his team come to Faw Casson and conducted a lunch and learn for our staff. Our team walked away with so many valuable tips to better their eating habits. They also demonstrated exercises we could easily do at our desks throughout the day to keep our metabolism up and feel more energized! Thanks CNU Fit! Great #information and explanations on #smartgrub. It's great thought food for the mind, body, and spirit :). Thanks for sharing the knowledge, we have a community that needs this know-how to decrease the high risk health practices that cost our City of St. Petersburg, Florida USA waaaaaaaaaay too much.The (your) point-by-point presentation style really helps make clear things that may not be understood. We appreciate the #insights. I absolutely love the team work and support that is shared at CNUFit!! Evans, TJ, and Sean are motivators!! I've achieved my Level One FitranX band and am ready to conquer level Two!! If you're ready for a change and challenge join CNUFit and the FitranX program today!! The videos made by the team are so helpful, and fun too. 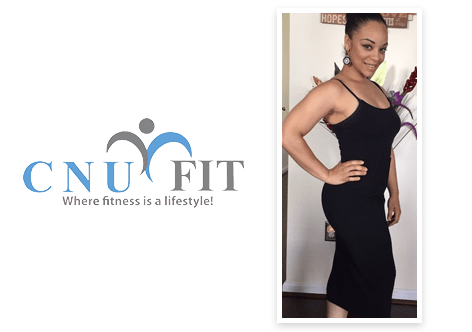 Your body and your health are worth the investment at CNUFit!! Make the change, you can do it! I love the staff at CNU and how willing they are to meet my needs, push me harder and always willing to answer my many questions. Evans is the perfect blend of disciplined, caring, funny, smart and encouraging that you want in a trainer. I highly recommend him and the client's results speak for themselves. CNU Fit has staff that believe in my goals and are there for me every step of the way! Its nice to have the support of the CNU Fit family! I would highly recommend them for people of all ages and fitness levels. From the boss to the newest intern, the staff is committed to making their clients successful. There's a lot of positive comraderie throughout the work out room. The staff is knowledgeable about physiologie and exercise science. They inspire the client to get the most out of each workout session. They come up with a lot of innovative products and techniques which keep the workout fresh.